Alloy 20 is a nickel–chromium–molybdenum stainless steel alloy developed for applications involving sulfuric acid. Its corrosion resistance also finds other uses in the chemical, food, pharmaceutical, power generation, and plastics industries. Alloy 20 resists pitting and chloride ion corrosion and its copper content protects it from sulfuric acid. 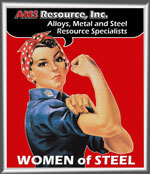 Alloy 20 is not a stainless steel but a nickel alloy. Alloy 20 is often chosen to solve stress corrosion cracking problems, which may occur with 316L stainless. It is also known as Carpenter 20, Allvac, Nickelvac 23, Special Metals Incoly Alloy 20, Cast versions are designated CN7M.